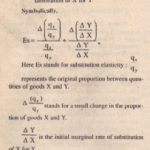 We have already seen (Chapter 7) that price effect consists of two components the income effect and the substitution effect. In the same manner, the price elasticity of demand, which is the measure of price effect. 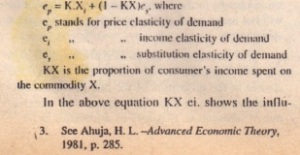 depends on income elasticity of demand on the one hand and substitution elasticity on the usher. This relationship can be expressed by the following formula. Time Crackly. 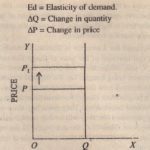 The elasticity of demand is greater in the long run than in the short run for the simple reason that the consumer has more time to make adjustments in his scheme of consumption. In other words, he is able to increase or decrease his demand for a commodity. Conclusion. 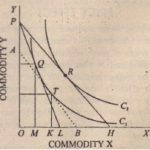 The above discussion confirms us in the view that it is not possible to lay down any hard and fast rule as to which commodity has an elastic demand and which inelastic. When we want to know whether the demand is elastic or inelastic, we must first know the class of people with reference to whom we wish to ascertain the fact.